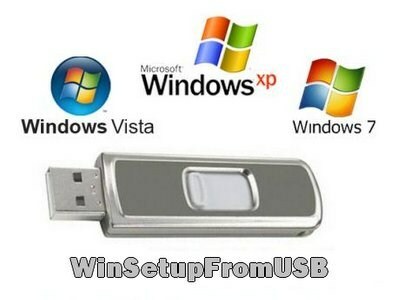 Utility to create a bootable flash drive with the ability to install Windows XP, Vista, Windows 7, Windows 8, BartPE (WinBulder/UBCD4Win/WinFLPC) and other operating systems. 1. Connect the flash drive and select it in the program. 2. Flag Flag Auto format it with FBinst to format to FAT32 or NTFS. 3. Select images or files to install operating systems on a flash drive (for Windows, you must first extract the image and specify the path to the installation files).